Style Tip: Refine your punk rock aesthetic by pairing a band tee with a sophisticated slit pencil skirt and leather biker jacket. To soften things up, add a pair of playful glittery sunglasses. 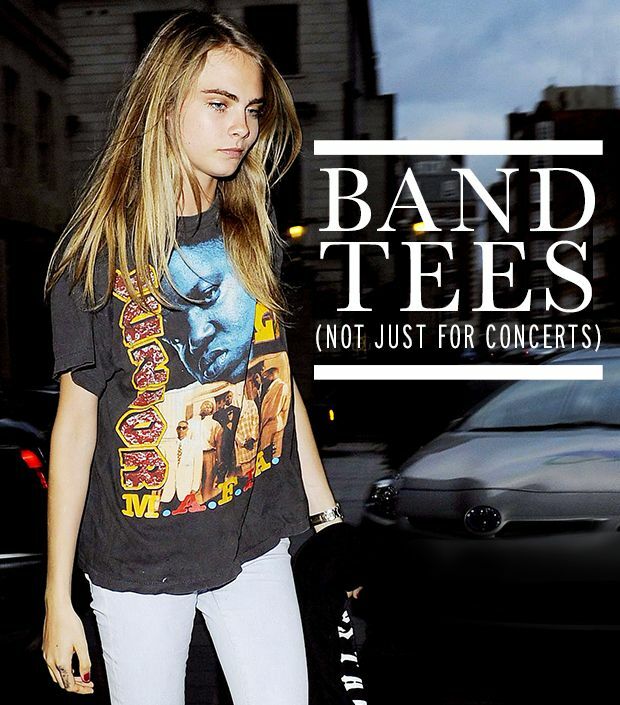 ?Tell us how you like to style your band tee in the comments!